Just like in other areas of fashion, the bridal world experiences trends in waves, weaving between shiny new fads that grab everyone’s attention and others that quietly fade away. With engagement season (i.e., the holidays) upon us, I’ve been thinking about which engagement ring styles we’ll be seeing more of and that may no longer be popping up. So, which engagement rings styles will be fading away from our Instagram feeds in the months ahead? To find out, I chatted with designer Ashley Zhang of Ashley Zhang Jewelry to get her insight. A jewelry maker, who specializes in wedding and engagement rings, confirmed some of my own suspicions. Ahead, Zhang is also sharing which engagement rings styles are on the rise this year and the ones we can expect to see in 2019. See her expert opinion and shop the beautiful pieces below. 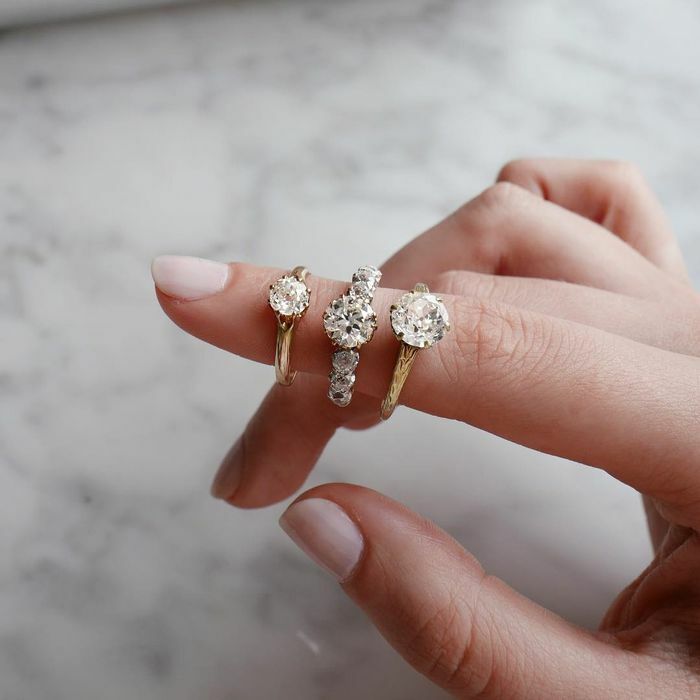 What is the biggest engagement ring trend now?